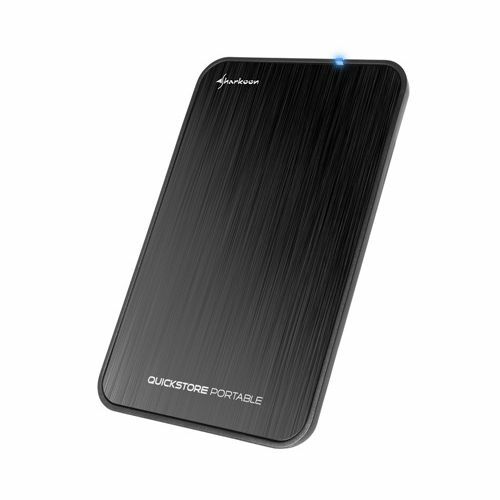 Regardless of whether its 2.5" SATA hard drives or Solid State Disks in the same design: The QuickStore Portable USB 3.1 offers both disk types an elegant home. In addition, the stylish external hard drive case is extremely flexible: A single 2.5" SATA hard drive or Solid State Disk with a maximum height of up to 9.5 mm can be easily and tool-free installed. Thanks to its compact design, the high-quality case with brushed aluminium surface fits into almost every pouch. Connection to a PC or laptop occurs via the integrated USB 3.1 interface, which also conveniently supplies power to the device.